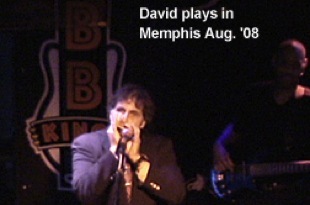 David Harp's bluesharp.com | Blues Harp and much more! Tried playing harmonica (or other instruments) before, without success? No problem. I'll get you playing...TODAY! Home of David Harp's musical i press, inc! We've been providing state-of-the-art harmonica instruction (and great stuff for other instruments, too) to individuals, stores, catalogs, and distributors for more than twenty years. Hi. I'm David Harp. I used to think I was tone-deaf. Couldn't carry a tune in a bucket. Now I love to play blues and rock harmonica, and have taught more than a million other folk (many of whom thought THEY were "unmusical") to Blow THEIR Blues Away. I've also taught more than a hundred thousand people how to play guitar, tinwhistle, percussion, and to understand "music theory" — all without having to "read music!" Whether you're a total beginner or a very experienced harmonica player, I have instruction methods which will get YOU where YOU want to go, whether that's playing in front of a campfire by yourself, or in front of a big audience at a packed blues or rock club. I especially like to help people who have tried before without success. Why? Because I really know what that feels like, since I tried so many times, using different methods, before I slowly, painfully, taught myself to play. Once I did learn to blow some good blues harmonica, I began to study how best to teach others, in the fastest, easiest, way ever! Want to hear me play a Slow Blues Verse? Please use the navigation bar at left to find the products or services that interest You! OVER ONE MILLION SATISFIED CUSTOMERS! SATISFACTION GUARANTEED! My next scheduled Harmonica-Based Mindfulness™ workshop is at The Kripalu Center, in Lenox, MA, and runs from March 9 -14, 2014. It's called Harmonica-Based Mindfulness™ — Reduce Stress and Play Blues, Rock, and Folk Instantly! Please click on the link above to read about it. Or call this toll-free number 1-866-200-5203 to register. You can also find more information on this page. I'll also be offering a one day workshop called A “Mindful” Approach to the Harmonica: Learn how to Play Blues, Rock, Folk and Classical Music … Today! at Manhattan's New York Open Center on January 12, 2014. Please click on the link for more information and to register, or call 212-219-2527 Ext. 2 to register.